A photographer’s memories of seven months in troubled Lower Assam that has seen bloodshed and multiple rounds of ethnic violence over the last year. The announcement to create a new state of Telangana has rejuvenated the long-term agitation for a separate state of Bodoland in Assam. The violence-ravaged foothills of Lower Assam have stood testimony to years of bloodshed. A brief period of relative peace and tranquillity was restored here in 2003 when the area witnessed some development. This reprieve ended in 2012 when the monsoons seemed to have brought as much fire as rain. Ethnic riots, attacks and counter-attacks between Bodo people and Bengali Muslims resulted in widespread arson and rioting. Lakhs were displaced in Lower Assam, bringing back memories of a dead insurgency. Curfews were imposed and the security beefed up. The ethnic animosity that almost destroyed the area in the 1990s had returned. I reached Kokrajhar, the epicentre of the hostilities, in January of 2013. An acute sense of fear still loomed large. 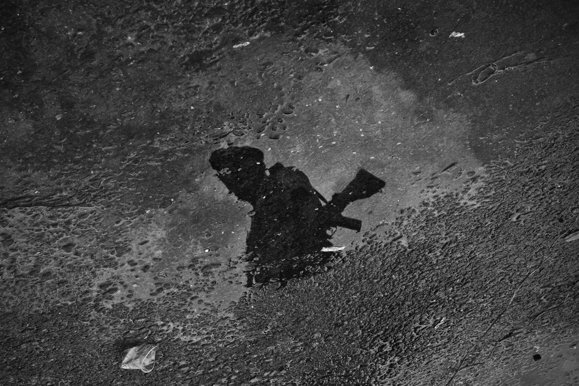 The air was uneasy and every few months brought fresh news of violence. I started to look for images that spoke of what lay under the current situation of mistrust, what lay beyond all the arson and rioting that had once again brought the area and its people to their knees. Ethnic conflict, displacement and migration in Lower Assam are not a new phenomenon. These have been used for political gains by, both, State and non-State actors. These machinations have ended sometimes in the mass exodus of whole communities, amounting to a sort of ethnic cleansing. The tribal nature of the conflict in most parts of western Assam adds to the complications. Assam has been divided thrice -- Nagaland in 1963, Meghalaya in 1971 and Mizoram in 1985. 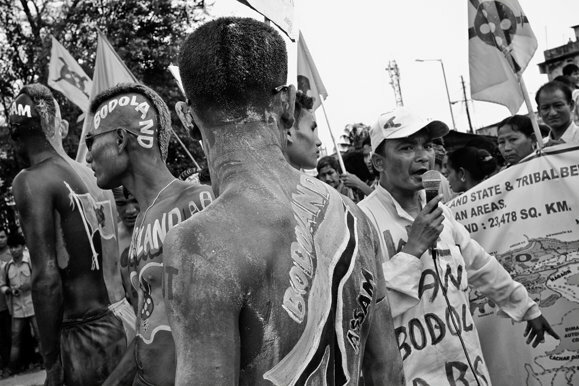 The Bodo people comprise about 5 percent of Assam’s population, while Bengali Muslim settlers make up about 33 percent. 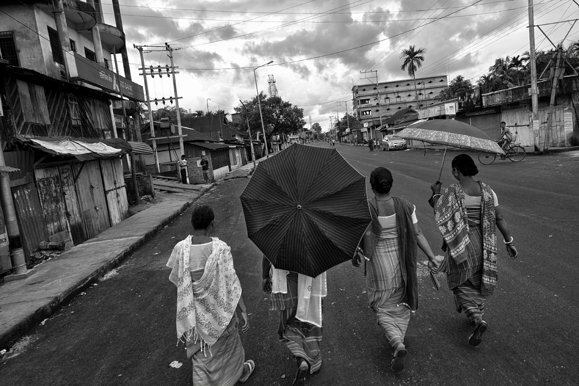 Arkadripta Chakraborty is a freelance photographer who divides his time between Guwahati, Assam and Agartala, Tripura. His work focuses on people living on the margins of the Indian society. For the last year he has focused on covering the ethnic conflict in northeast India, with particular focus on western Assam. His work is regularly featured in both national and international publications and websites.